Broken but beautiful. Ever had the experience of seeing the same pattern over several days? I don’t mean patterns like traffic or how we arrange silverware in our kitchen drawers. No, I mean patterns that speak to something deeper. If you have experienced them, what follows may resonate with you. If patterns are lost on you, skip this altogether. I write as one convinced that patterns are important. Why? Because confluence, convergence, and the coming together of ideas may serve as presages. Patterns exist for several reasons. One of those reasons is to act as messengers. Let me explain. Last week I read a short theology book. The author wrote of how all people who are honest admit that our world is broken, and that we all are broken people. We know intuitively that the world is a fallen place. And we know that we’re fallen, too. Witness the current destruction of statues and monuments to America’s history by angry mobs. Witness the targeted slaughter of law enforcement officers. Witness the rancor among pundits who seem to have relinquished reasoned debate and replaced it with ad hominem attacks. Most of us would admit that the world we live in is hostile, rancorous, and well—broken. This brokenness is not just external to us. It is not merely “out there.” If we are honest, brokenness is part of the way we see ourselves. No pattern yet, right? Hold on. It is coming. So I kept reading the book and thought, “Yes, this rings true. We are broken.” But then the author did something else. He used the term “beautiful” to describe us, too—amidst our brokenness. For many readers, that term might not signify much. But for others, that term denotes that a lot more is going on; namely, there is beauty in this broken world. There is an aesthetic to the universe. Yes, there is ugliness, deformity, depravity, etc. The list is long of how brokenness manifests itself in some people’s cruelty to one another. However, humanity is still beautiful. Then I put the two words together—broken but beautiful. That was last week. Now to this week. In a Sunday school class, a teacher was leading us in an examination of some of what Scripture teaches about how Christ-followers will—not may—but will suffer. We looked at Peter’s words: “Beloved, do not be surprised at the fiery trial when it comes upon you to test you, as though something strange were happening to you. But rejoice insofar as you share Christ’s sufferings, that you may also rejoice and be glad when his glory is revealed” (1 Peter 4:12-13). And then we read James’ words: “Count it all joy, my brothers, when you meet trials of various kinds, for you know that the testing of your faith produces steadfastness” (James 1:2). Do you see the pattern? The world is broken, but beauty abides still. These broken people are beautiful in the crucible. Then we looked at Paul’s words from prison: “For it has been granted to you that for the sake of Christ you should not only believe in him but also suffer for his sake, engaged in the same conflict that you saw I had and now hear than I still have” (Philippians 1:29-30). Then the teacher said this: “We are broken but still beautiful.” I almost slid out of my chair. The same terms, the same truth, the same pattern—broken but beautiful. The pattern asserted itself through experience, through a book, then through a teacher at church—with its simple message: broken but beautiful. 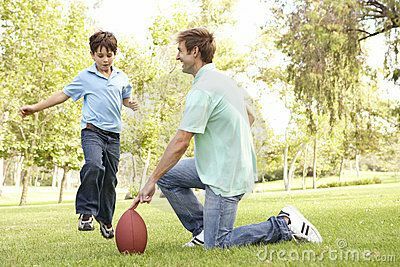 When we had eaten lunch and returned home after church, and changed into comfortable clothes, my son said, “Dad, let’s throw the football.” Even though I had a thousand other things to do to prepare for the week ahead, the pattern emerged. Excuses came to my mind: I need to work in the basement; I need to wash my truck; I need to prepare for the course I’m teaching, and on they ran. But here was my son, asking to do what is beautiful to him. As we threw the ball to each other, I watched him run the hill and sprint for passes. I saw the white laces spin round as the football arced towards him. I heard the sounds of his cleats on the earth and watched the way sun fell in patches on our driveway and through the overhanging white oaks. And the pattern whispered—broken but beautiful. “Post-truth” is the 2016 word of the year, according to Oxford Dictionaries. Post means “after.” However, we are not to understand the post in post-truth in that sense. Rather post here is to be understood as indicating that social media and personal opinion carry more influence than facts. Stated another way, some people’s preferences influence them more than objective reality. Subjectivity trumps the objective/external. The effects of pervasive social media are incalculable. No matter how loony one’s views are, there’s a website that’ll foster your opinions. People may gorge on the newsfeeds of their choice. Preoccupied with the instant, the traditional cannot compete. Constant information (not wisdom, just information), injections of breaking news, and what’s “happening now” have dethroned the antiquated as monolithic. “Post-truth” indicates that “the establishment” (whatever that is) is tainted, that any meta-narrative is dead, and that our opinions are valid, simply by virtue of their existence. Objective reporting is gone with the wind, leaving tweets in the breeze. Why? Because thoughtful analysis does not get many “likes,” and research is whatever a Google search turns up. Where’s the bright future? The “naked shingles of the world” are scant fare if the soul hungers for answers. Arnold was honest enough to admit that the best he could hope for was “be[ing] true to one another.” But why? And what does it mean to “be true” in a post-truth world? The “ignorant armies clash[ing] by night” are the result of jettisoning the author of life and of moral reasoning. When the creature purports to evict his maker, man’s folly is manifested, as is God’s judgment. A degenerate culture is certainly post-truth, because it cannot appreciate the true, good, or beautiful. It forfeits the lens by which truth and falsehood are discerned. Beauty is discarded and dross is embraced. It exchanges truth for a lie and spirals into solipsism and despair. If tweets are taken to be acumen, distraction wins. But facts are stubborn things, and just because post-truth garners much usage, objective truth nonetheless abides. Do you remember what Pilate did next? He mocked and walked out. He didn’t want truth, because he’d have to acknowledge himself as a sinner and Jesus as holy God incarnate. Rather than acknowledging God as the objective standard of truth, Pilate scoffed. When truth stood in front of him, Pilate hated it, and sought refuge in his own morality, where he purported to be the arbiter of right and wrong. Pilate didn’t want truth. It was easier to let the mob rule. He played to the crowd. He had Jesus flogged, spat upon, crowned with thorns, crucified, and buried. But Jesus was not a post-truther. Reality is like that. You can mock at it, deny it, and even murder it. But it rises again to meet you—even in your world of pretend post-truth. There is danger in familiarity. This morning at church, the pastor taught from Mark 14. I suppose millions of people worldwide know the story of Mary, the sister of Martha and Lazarus, who anointe d Jesus with her flask of oil. And Jesus paid her one of the highest compliments possible: “She has done what she could; she has anointed my body beforehand for burial. And truly, I say to you, wherever the gospel is proclaimed in the whole world, what she has done will be told in memory of her” (Mk 14:8-9 ESV). The pastor reminded us of several things. One precept, in particular, abides with me: Mary did all she could. And this convicted me about how superficially I can treat others, especially those with whom I’m familiar. 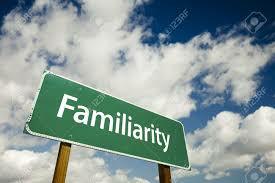 There is danger in familiarity. And nothing quite rouses me from the slumber of familiarity like the reality of death. Let me explain. This morning in the Sunday school hour, the pastor stopped by the class I teach. He shared with our class that one of the elderly ladies in the church family had died in the early hours of that very morning. And as soon as he said her name, her face appeared in my mind’s eye. We all have certain facial expressions, or nuances of demeanor, that mark us as unique. And this lady’s ways became almost palpable to me. But I grew more and more convicted. Why? Because I’d not spent quality time in conversation with her the last time I’d seen her at church. I was too familiar with our standard “meet and greet” time. Of course, I shook hands, and hugged, and engaged in small talk with some folks. But had I known that I’d not have another chance in this life to speak with this lady, I would have done things differently. That is part of the danger of familiarity, at least for me. I grow accustomed. I develop a routine. The routine becomes superficial. I can atrophy as a human being. I don’t attend to my neighbor. Instead, I take her for granted. This is a danger of familiarity. We are easily habituated to feigned courtesy. Until death shakes us from our torpor. As the church service progressed through its order, we sang and prayed and sang again. And then there was the “meet and greet” time that I have sometimes dreaded. (Like my grandfather, I’ve never excelled at small talk, so I can be ungainly at times, at least with this sort of thing.) But this morning was different. No, I didn’t suddenly become gregarious and go around backslapping and talking of the day’s news headlines. Instead, I stayed in my pew, and spoke at length with a dear couple in front of me. They talked of their many years living in southern California. The husband spoke of being a firefighter in San Diego. The wife spoke of her childhood in Colorado. They spoke of their children. I could see their eyes sparkle as they reminisced about certain events in their past. Why is all of this important? Because rather than going through the motions of caring, I did care. And they cared. We talked. We listened. We fellowshipped. I learned from listening to them, and by having watched their lives for years, that they know what it means to give all. Like Mary, who anointed the Lord with her costly perfume, these saints in front of me have taught me (whether they know it or not) what it means to give all, to invest eternally. And so much of that investment comes, not by way of the extraordinary, but by way of the ordinary, by the familiar feel of another’s handshake, through the recurring scent of a woman’s favorite perfume, or the grin of an older wiser man, who says much in few words. For Mary, the sister of Martha and Lazarus, she never became so accustomed to the Lord Jesus that she atrophied spiritually. She gave all. And now she’s remembered. There is a danger in the familiar. And I think it’s failing to appreciate beauty that surrounds us. God’s providence is displayed, not just in the beautiful sunset or poem, but also in the saints on the pew in front of us. Three fire trucks, five cop cars, and three ambulances. Onlookers lined both sides of the road. Policemen unrolled yellow tape and erected orange barrel barricades to keep the onlookers at a distance. Still, the number of onlookers grew. Huddles of Latino families lined both sides of the four-lane road. EMTs and paramedics loaded what appeared to be two bodies on gurneys into one of the ambulances. Blue lights from the police cars, and red lights from the fire trucks and ambulances, lit the onlookers’ faces. The facades of business buildings facing the road reflected lights from emergency vehicles. The rain had just stopped. Wisps of steam rose from the hot wet asphalt. Shattered glass. One of the vehicles was a four-door Ford Lincoln from the early 1980s, a massive car by today’s standards. It was now in two pieces. 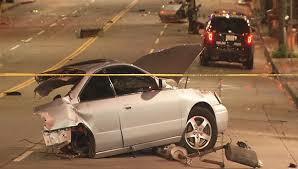 The vehicle that had T-boned the Lincoln was unrecognizable. It was now smashed into what resembled a steel accordion. I could have fit it in the back of my pickup. It sat immobilized in the center of the four-lane. Steel, plastic, and fiberglass bent in upon itself in horrific shapes. The Lincoln was in two pieces. The front half was in the middle turn lane. The rear half was downhill about a hundred meters, steaming on the sidewalk. It had been cut in half from the impact. I’d come upon this scene on my drive to Publix. I was on my way to purchase sandwich meat and bananas. But as I topped the hill, I instead encountered this. Lights from ambulances, fire trucks, and police cars that that had amassed over half a block of South Cobb Drive. We drivers who’d come upon the scene were being rerouted, as South Cobb Drive was now closed. But the crowd of people grew. They gathered on foot along the four-lane. To do what? To pray for the families of the dead? To offer help to the EMTs, policemen, and firefighters? To gaze, like vultures on a wire, upon human carnage? My stomach began to hurt. I realized I’d lost my appetite. I’d been looking forward to a turkey sandwich and banana after my run. Now I felt sick and ashamed of my selfishness. James’ words flashed in my mind: “yet you do not know what tomorrow will bring. What is your life? For you are a mist that appears for a little time and then vanishes” (James 4:14 ESV). I watched the red brake lights of the car in front of me, as we inched our new way past the crash site. Wisps of steam continued to rise from the blacktop. James’ words burned my brain. A mist. These men or women, or perhaps children, who may’ve been running errands, too, had lives of mist. Now some of them lie dead in ambulances. And other people lined the sides of this four-lane like vultures, gawking over glass-ridden blacktop, as if other people were prey. This had become a spectacle of life’s brevity. We do not know what tomorrow will bring. We do not know what today will bring. “For my days pass away like smoke,” (Ps 102:3a). As a husband, father, uncle, teacher, chaplain, soldier, etc. let me not forget. May I use my mind for that which matters, and not waste the days appointed. The Self-disciplined: A Vanquishing Breed? Self-discipline is out of fashion in our time, at least for some folks. Just in this week’s headlines, an elected political representative was again disgraced after his latest “sexting” surfaced. His wife is separati ng from him, and the world yawns. Where’s the self-discipline we should hope to find in our elected officials? Was it ever there to begin with? Other headlines are consumed with demographics of race, gender, and carnality. We have “safe spaces” now wherein free speech is curtailed under the guise of sensitivity and the favorite system of silencing dissenters and thought not aligned with militant secularism–political correctness. And infamous athletes boycott the national anthem; some people burn our nation’s flag; yet others support the murdering of police, etc. The list is long of people who seem to lack self-control/self-discipline. And where self-discipline is absent, somebody else’s discipline will step in—usually in the form of a growing government. What does Scripture actually say about these things? In short, Christians are to be above the aforementioned follies. Christians ought to be the ones who exemplify self-discipline. They ought to be the ones whose examples the undisciplined world envies. Jesus did not obfuscate. He said Christians are to “let [their] light shine before others, so that they may see your good works and give glory to your Father who is in heaven” (Mt 5:16 ESV). Just as Jesus was the light who’d come into the dark world, his followers are to be lights amidst this darkness. And being light entails self-governance/self-discipline. I am currently studying through Peter’s life and writing, and one text from Peter often cited as a ground for Christian apologetics (a reasoned and reasonable defense of the Christian faith) comes from his first letter. The text to which I refer follows: “but in your hearts honor Christ the Lord as holy, always being prepared to make a defense to anyone who asks you for a reason for the hope that is in you; yet do it with gentleness and respect, having a good conscience, so that, when you are slandered, those who revile your good behavior in Christ may be put to shame. For it is better to suffer for doing good, if that should be God’s will, than for doing evil” (1 Pt 3:15-17 ESV). It’s true, of course, that Peter teaches Christians the importance of being able to articulate what they believe and why they believe it. (May God bless the many faithful Christian apologetics ministries we have.) But what is easily overlooked in those same verses cited from Peter is his emphasis upon “having a good conscience” and knowing that Christians will be slandered for . . . “doing good.” That’s the battlefield of being a living sacrifice. Obedience is manifested via living a good life amidst an evil culture. This is why Peter writes that it’s a blessing when you’re reviled by the unregenerate. In other words, Peter’s echoing Jesus: “Blessed are you when others revile you and persecute you and utter all kinds of evil against you falsely on my account. Rejoice and be glad, for your reward is great in heaven, for so they persecuted the prophets who were before you” (Mt 5:11-12 ESV). But “doing good” demands self-discipline, not unrestrained impudence. The ancient Greek world birthed the Olympics, of course. And in the New Testament, Paul uses an athletic metaphor about self-discipline in 1 Corinthians: “Do you not know that in a race all the runners run, but only one receives the prize? So run that you may obtain it. Every athlete exercises self-control in all things” (1 Cor 9:24-25a ESV). What’s the hinge upon which Paul’s argument turns? Exercising self-control. 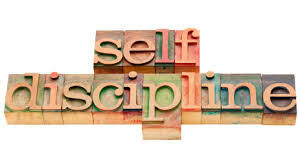 Just in case readers could misinterpret Paul’s emphasis upon self-discipline, he reminds them, “But I discipline my body and keep it under control, lest after preaching to others I myself should be disqualified” (1 Cor 9:27 ESV). Paul’s emphasis as a Christian was of course the gospel–the life-giving truth centered in God’s work in history concerning Jesus the Christ, his birth, life, substitutionary death, and physical resurrection. Paul’s metaphor of disciplining the new nature in order to receive the prize for a ministry led with faithfulness is analogous to disciplining one’s body as part of athletic competition. How appropriate, therefore, for Christian pilgrims, who ought to be the exemplars of self-discipline, to strive for the prize, to serve with distinction. In short, for a world that often lacks the quality of self-discipline, let the world behold in Christians lives worthy of the One who called them to himself. “Back again so soon?” That’s what the attendant at the oil change station asked me as I sat in my truck with the window rolled down, waiting to have my truck tires rotated and engine oil changed. “Yes,” I replied. “Been a busy few days.” Indeed. Busyness as usual. Might I (and others) be so busy that we forfeit the most important things? In only a few days I’d amassed another 3,000 miles of road time, and was again back at the oil change station. The apostle Paul wrote in the New Testament that Christians are to seek eternal things rather than spending our affections on temporariness: “For the things that are seen are transient, but the things that are unseen are eternal” (2 Corint hians 4:18b ESV). So what are eternal things? What does Paul mean? The context is one wherein Paul contrasts the “light momentary affliction” (v.17) of physical sufferings to the eternal glory that awaits Christians. How much more encouraged and faithful, therefore, ought Christians to be in laboring for the truth. Believers are not to “lose heart” (v.16) because we know that our labors (if not wasted upon the tyranny of the temporary and mere busyness), our fatigue, our weariness, and even our exhaustion that result, are worth it. In fact, to spend oneself for the sake of the truth should usher in sweet rest. “Sweet is the sleep of a laborer” (Ecclesiastes 5:12a ESV). 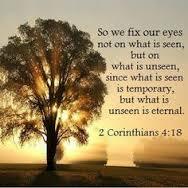 Moreover Jesus taught how we’re to expend our energies on matters of substance. We’re to use our minds for things that matter eternally. Frittering away our time on the temporary is sinful. Indeed. Sufficient is any day’s trouble. I suspect you’re like I in that you tend to worry about things, at least at times. I have to take breaks from the media deluge. I’m weary of hearing of Hillary’s decades of lies and of Donald’s boasts. I’m weary of hearing how secular government continues to grow and of how individual responsibility and freedom proportionately shrink. I’m weary of hearing of Islam’s continuous bloody conquests across nations. I’m weary of people assuming just because someone’s exceptional in one area (movie acting, e.g.) that he is necessarily qualified to speak intelligently about philosophy, theology, history, or literature. No one who knows me would ask me to do algebra, for good reason. However, I might be somewhat more helpful if you wished to discuss the 20th century novel or Charles Dickens’ contributions to the world’s greatest literary characters. In other words, it’s important to know where one fits, and where one’s knowledge extends/does not extend. I disagree with Thoreau on several things, but on that principle, we would’ve agreed, and could’ve shared his simple cabin in Concord, Massachusetts any day. This week I resume teaching World Literature to college students. I adore this course. Among the early topics is a section exploring the question, “What is a hero?” We begin the term by reading sections of Homer’s epics—the Iliad and the Odyssey. If the classics are the great books that everyone should have read but few actually have read, then I hope this course mitigates that lamentable state. We examine the Greek and Roman pagan views of what makes a hero and discover therein that they were created. They were gods that came to be. Unlike the God of the Bible, Greek gods are not eternal. Moreover, they were created out of chaos. And the Greek gods deceived wantonly. To be a Greek god required duplicity. Olympus, e.g., exalted gods of treachery. What traits of a Greek hero do you see here? Pride, wrath, petty jealousy, a preoccupation with glory for oneself. Contrast this with the Bible’s pictures of what constitutes the heroic. 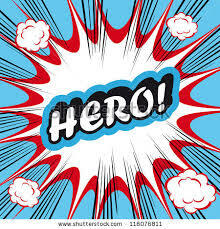 In World Literature, I contrast the Greek and Roman views of heroism with biblical examples of the heroic. Joseph, whose story is recounted in Genesis, is one of our case studies. Rather than being exalted as a boasting warrior like Achilles or Agamemnon, Joseph was betrayed by his brothers and sold by them to Ishmaelites for so many shekels of silver (Gen 37). Joseph was then taken down to Egypt and sold to Potiphar. He was imprisoned. And yet he entrusted himself to God. He did not exalt himself, his strength, or his wisdom. Even when others recognized his wisdom, Joseph ascribed it to the gift of God (Gen 41:16; 45:8; 50:19-20). Even students with only a cursory knowledge of the Bible have often heard the words Joseph recounted to his brothers: “Do not fear, for am I in the place of God? As for you, you meant evil against me, but God meant it for good, to bring it about that many people should be kept alive, as they are today” (Gen 50:19-20 ESV). The contrasts between Greco-Roman pagan views and the biblical view of heroism are nothing if not ample and stark. The Greek and Roman gods were finite, dependent, moody, petulant, fickle, self-absorbed, and prideful. As Francis Schaeffer wrote, they were amplified humanity. In short, they were like we are—sinful. In glorious contrast, however, is the biblical view of the heroic. And the God of Scripture is instead infinite, transcendent, righteous, and altogether holy. And as to human heroes, rather than exalting themselves, readers see men like Joseph–men who suffer due to others’ sin, men who overcome evil with good, men who bore the wrath others deserved. As my students will see through the Joseph narrative, the ultimate author of Joseph’s narrative pointed to a later Joseph who would likewise, but in an infinitely superior way, not exalt himself, but do the will of his Father. He would suffer for others’ sin, and even be made sin for them. And he would overcome evil by exiting his grave. He would bear wrath so that others would escape it. This was a different hero indeed.